Coffee at the Cosmo on Thursday, March 17, is entitled, “Going Green in Space.” It is at 9 a.m. at the Cosmosphere and is free and open to the public. NASA was recycling long before it was trendy. Because of the cost of manufacturing such specialized items, and transporting them into space, NASA always looked for ways to conserve and reuse. 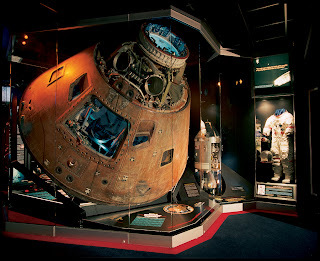 Even the Command Module from the famed Apollo 13 mission had items removed for use on future missions. The Cosmosphere was instrumental in gathering the pieces back together for the restoration, and is pleased to have the Command Module on display in the Hall of Space Museum. Space travel necessitated coming up with ways to get the most from all they were transporting – from food and water to the hardware. Tools often had dual purposes and could be reused. 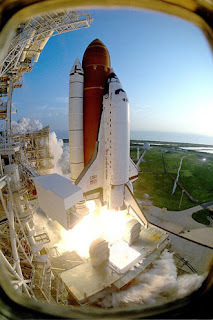 The Cosmosphere will be showing the last launch of the Space Shuttle Discovery on Thursday, February 24, from 3-4 p.m. It will be shown on a large screen in the Discovery Room at the Cosmosphere. This event is free to the public. This will be Discovery’s last mission. It was first flown in 1984 and has completed 38 missions, more than any other orbiter in the fleet. Discovery has completed 5,247 orbits and spent 322 days in orbit. Discovery was chosen to fly the “return to flight” missions after both the Challenger and Columbia disasters. Discovery launched the Hubble Space Telescope in 1990, and carried astronaut John Glenn in 1998 when he became the oldest human being to go into space. It has performed both research and International Space Station assembly missions. Please be aware that weather or other factors could affect the launch date and time. The Cosmosphere plans to show the remaining shuttle launches as well. They are targeted for Space Shuttle Endeavour on April 19, and Space Shuttle Atlantis on June 28. The movie, “Tornado Alley,” is opening at the Cosmosphere Carey Imax Dome Theatre on March 18. It’s a heart-pounding science adventure with Storm Chasers star Sean Casey and the researchers of VORTEX 2 who are making an effort to understand the origins and evolution of tornadoes. 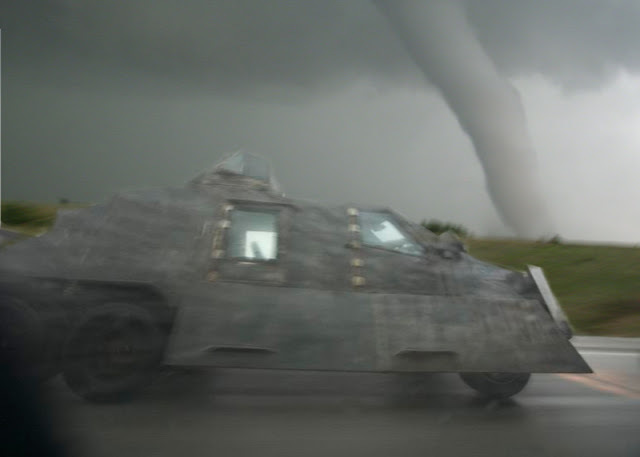 With a 70mm camera, a fleet of customized vehicles designed to withstand gale force winds, torrential rains and unrelenting hail, and an arsenal of the most advanced weather measurement instruments ever created, the stars of Tornado Alley take audiences on a thrilling quest to experience a tornado’s destructive power at point blank range. Adrenaline meets science in nature’s most dramatic phenomena. Traversing the severe weather capital of the world, “Tornado Alley” documents two unprecedented missions seeking to encounter the birth of a tornado. Filmmaker Sean Casey’s personal quest to capture the birth of a tornado with a 70mm camera takes viewers on a breathtaking journey into the heart of the storm. 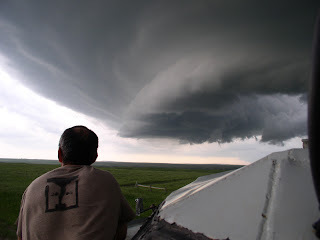 A team of equally driven scientists, the VORTEX2 researchers, experience the relentless strength of nature’s elemental forces as they literally surround tornadoes and the supercell storms that form them, gathering the most comprehensive severe weather data ever collected. This science adventure reveals the beauty and the power of some of our planet’s most extreme—and least understood—weather phenomena. Snoopy Saturday at the Cosmosphere on February 12 is a day of fun activities to celebrate the opening of a new exhibit called “To the Moon: Snoopy Soars with NASA.” Snoopy has a long history with the space program and was even the first beagle on the moon. From 10-3 on February 12 enjoy free activities including button making, temporary tattoos, a coloring contest, moonwalk and more. Kids will have a chance to make a straw rocket and their own command module. All those activities are free. 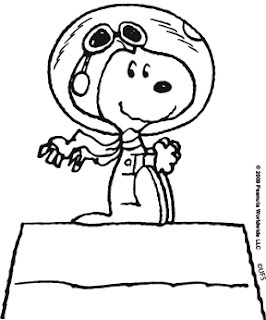 Download the coloring sheets and get more information at www.cosmo.org/snoopy. At 1 p.m. cartoonist Richard Crowson will be talking about cartooning and doing some demonstrations. The Wichita Eagle cartoonist was inspired by Schulz who created the Peanuts characters, including Snoopy. Crowson’s presentation is free to the public. Snoopy will be making an appearance at Snacks with Snoopy at 11 a.m. For only $5 each, you and your child can share some goodies with Snoopy, see what happens when apples and liquid oxygen meet, make and enjoy food similar to what astronauts eat, and have a chance to take your photo with Snoopy. Tickets are limited for this event and can be purchased now by calling 620-662-2305 or 800-397-0330. The exhibit, “To the Moon: Snoopy Soars with NASA” focuses on Apollo 10, which was the “dress rehearsal” for the moon landing a few months later when man would first walk on the moon. The crew nicknamed the command module and lunar module Charlie Brown and Snoopy respectively. 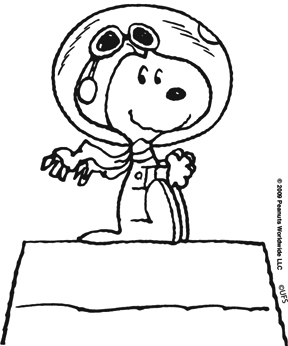 Of course, Snoopy beat everyone to the moon, making his moon landing in March of 1969. The exhibit will include that famous strip, as well as many other items, including a Silver Snoopy pin. Sliver Snoopy pins, one of the most coveted awards at NASA, have flown on every mission since 1969. They are awarded by the astronauts to people they feel helped significantly with their missions. Less than 1% of the NASA workforce receives one each year. Snoopy Saturday kicks off the exhibit on February 12. Join us for a host of free activities that day for the whole family, including a free presentation to hear cartoonist Richard Crowson. Admission to the exhibit is included with any museum ticket. Coffee at the Cosmo on Thursday, February 17, is entitled, “To the Moon: Snoopy Soars with NASA – Exhibit Highlights.” It is at 9 a.m. at the Cosmosphere and is free and open to the public. The Cosmosphere is opening at new exhibit about Snoopy’s 40 year plus involvement with the space program on February 12. The exhibit is from the Charles M Schulz Museum and Research Center and examines the history of Apollo 10 and the Peanuts characters’ role in that flight. Coffee this month will look at some of the highlights of this travelling exhibit, on display from February 12 – May 1 at the Cosmosphere.